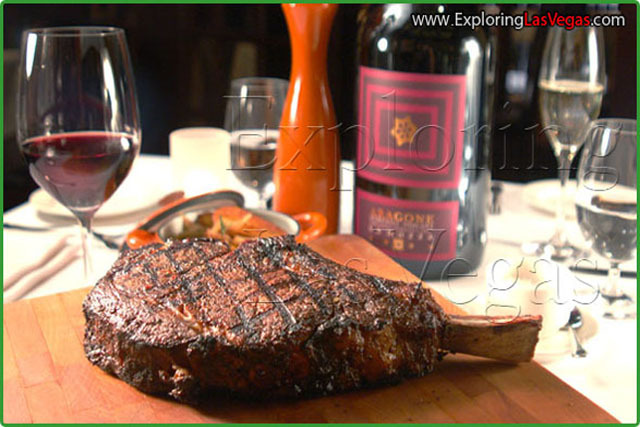 Carnevino at the new Palazzo resort is unique in Las Vegas. It is so new that you can step into it and make up your mind about without being exposed to hype of the level you might with a Wolfgang Puck establishment. The name Carnevino was born of a combination of the two elements brought together in this restaurant: American meat and an international wine list. The decor at Carnevino invokes an Italian villa with its Italian marble, 16 foot ceilings and dramatically spacious dining rooms. It aspires to and attains the level of luxury for which the Palazzo is known. The menu combines modern Italian cuisine with steakhouse favorites. Steak Tartare Piemonte style and Procini Trifolati are served right alongside of house-aged beef steaks. Carnevino only uses all natural, antibiotic and hormone free beef, so you'll be getting nothing but top notch meat. Vegetarians will be able to indulge in pasta dishes and vegetable side dishes. Tribute must be paid to the chefs' hallmarks: fresh seasonal produce and handmade pastas from each region in Italy. These are served with Italian favorite Balsamic vinegars and fine cheeses. 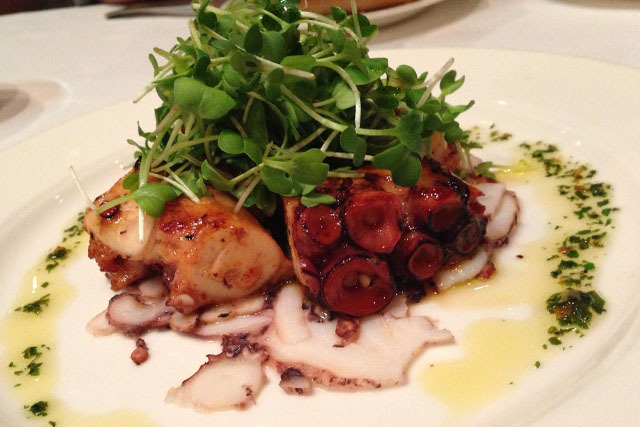 The chefs put their hearts into the food to transport you to Italy through your palate. Don't forget to sample one or more of the fine wines in Carnevino's international selection. Good wine is meant to be drunk. Lunch : 12:00pm - 03:00pm. Dinner : 5:00pm - 11:00pm. Bar Hours : 03:00pm - 05:00pm.